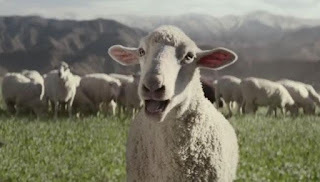 The sheep herd is only revealing their singing skills when nobody is around. This Honda Super Bowl commercial is neat and full of positive vibes. If I would be a farmer, I would think twice getting that truck-bed audio system. You don't want your sheep sing. Watch the commercial below. Honda unveiled the all-new 2017 Ridgeline truck at the North American International Auto Show earlier this year. The new Ridgeline is based on Honda's Global Light Truck platform with its rigid yet lightweight unibody construction, next-generation ACE body structure and sophisticated, fully independent suspension, delivering a higher level of ride and handling refinement than conventional body-on-frame designs. The Ridgeline will be powered by a 3.5-liter, direct-injected i-VTEC V-6 engine mated to a 6-speed automatic transmission, providing top-in-class powertrain refinement and targeting best-in-class acceleration performance and segment-leading EPA fuel economy ratings. The Ridgeline also will be available for the first time in both front-wheel and all-wheel-drive configurations. All-wheel-drive models will utilize Honda's i-VTM4 torque vectoring AWD technology, featuring Intelligent Terrain Management with Normal, Sand, Snow and Mud modes, providing robust medium-duty off-road and towing capability with superior on-road, all-weather handling, traction and performance. The new Honda Ridgeline will launch in the first half of 2016. This new Honda Pickup truck was designed and developed by Honda R&D Americas and will be produced by Honda Manufacturing of Alabama in Lincoln, Alabama.